FIFA has become one of the most popular console games in the world and has a burgeoning eSports industry surrounding it. Find out which online bookies have the best betting markets for FIFA leagues all over the globe. One of the biggest FIFA initiatives in recent years was the launch of Major League Soccer’s eSports competition, with each team in the American football competition boasting a representative playing under its colours. Things went up a notch in 2019 with the formation of the ePL – the English Premier League’s official esports league, open to FIFA 19 players all over the UK. There has even been a FIFA academy set up called For F1FA Sake, which is aimed at identifying the best talent and encouraging professional clubs to sign them. There is even an official tournament sanctioned by the Federation Internationale de Football Association – the FIFA Global Series, where the best in the business play off for spots in the FIFA eWorld Cup Grand Final. In 2018, EA Sports and the Union of European Football Associations (UEFA) announced the formation of the eChampions League, where reps for the top teams in Europe will compete in the virtual equivalent of the world’s greatest club competition. Most major online betting sites and bookmakers offer markets on eSports, with FIFA e-leagues just one of the many events you can wager on. Typically, because there is still so much unknown about the competitors in each competition, odds will not be framed until the weeks leading up to the event. As these competitions become more mature in 2019 and beyond you can expect more futures betting, earlier markets and more bets available on the various competitions. Some of the markets which you can expect in the future include head-to-head betting, outright winner and, looking into the crystal ball, things like tournament leading scorers, just like in major real-life football events. FIFA 19 is just the latest in a long sequence of successful football games from EA Sports. Recent years have brought enormous advances in gameplay, graphics and online play, as well as upgrades to offline modes and career features. 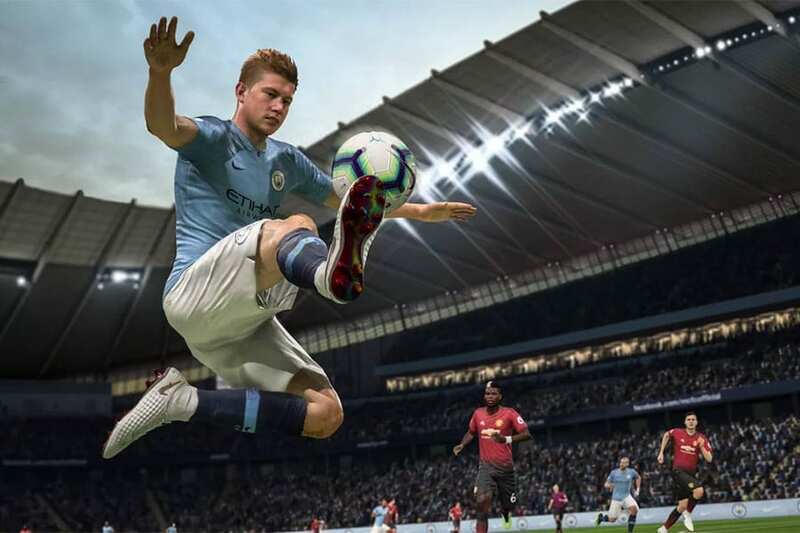 Major developments for FIFA 19 include improved AI performance and more realistic ball movement, including better passing, better control in close and more realistic avenues to scoring. Story mode is back with ‘The Journey: Champions’, which sees protagonist Alex Hunter sign for Real Madrid after Cristiano Ronaldo’s move to Juventus. ESportBet.com can’t wait to see what the future holds for FIFA. FIFA was first released in time for Christmas in 1993, but had been in the pipelines in the late 1980s as computers became good enough to power games. It was notable for being the first game that was fully endorsed by the Federation Internationale de Football Association, the self-appointed body which describes itself as the international body controlling football, futsal and beach soccer. FIFA has been available on PC and most consoles over the years and has gained a massive following everywhere from the United States to the Asia Pacific region to Europe and the United Kingdom. Since 2001, a strong rivalry has emerged between FIFA and Pro Evolution Soccer – Konami’s virtual football series. The game has now developed to the point where it can support online leagues of all standards, with gameplay almost unrecognisable to that of yesteryear thanks to lifelike graphics and unparalleled in-game options that allow you to do everything a real-life team manager would do. While eSports is a relatively new phenomenon, FIFA will undoubtedly grow as more of the big leagues around the world embrace the opportunities and connections that lay in console and computer gaming.